This large combo has everything a youngster wants and more! 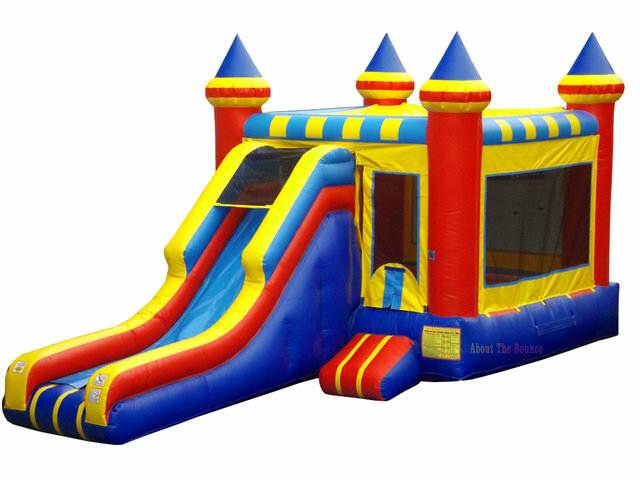 It's a bouncer, inflatable slide and basketball court with an included hoop - ready to add thrills to any outdoor event or party. Let the kids go wild and have hours of fun with this one!